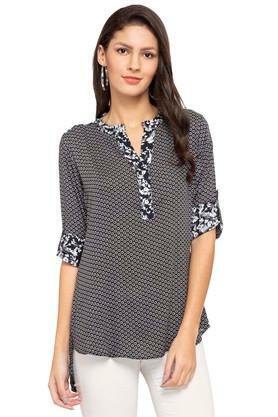 Inspire dapper looks with this tunic from Sanaa. Made of good quality fabric, this tunic is also extremely soft against the skin. 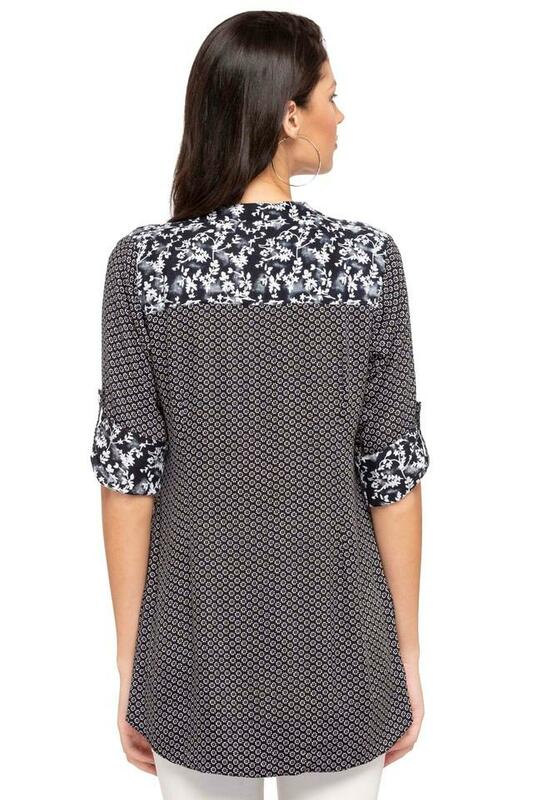 Featuring a mandarin neck, rollup sleeves and printed pattern, this tunic boasts of enticing urbanity. Fusing feminine shape with contemporary design, this tunic. Coordinate this tunic with a pair of jeggings and ballerinas for a chic look.